March 29, 2016 – As of March 25, 2016, Juno was approximately 410 million miles (659 million kilometers) from Earth. 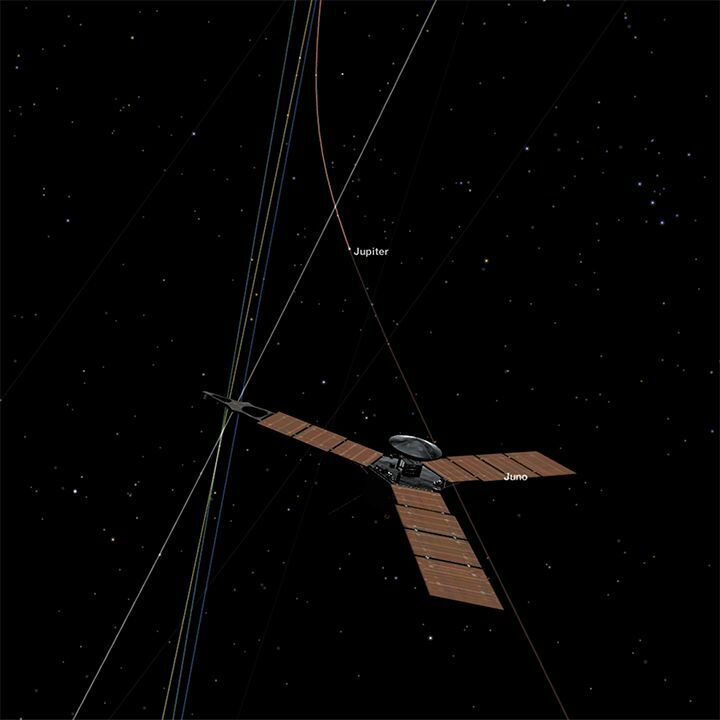 The one-way radio signal travel time between Earth and Juno is currently about 37 minutes. Juno is slated to arrive at the gas giant planet on July 4, 2016, at 9:35 p.m. MDT (Earth Received Time). Track and visualize Juno’s journey through space using NASA’s Eyes on the Solar System 3D interactive.